"Is it better to be a bad man and accomplish great things, or be a great man and accomplish nothing?" 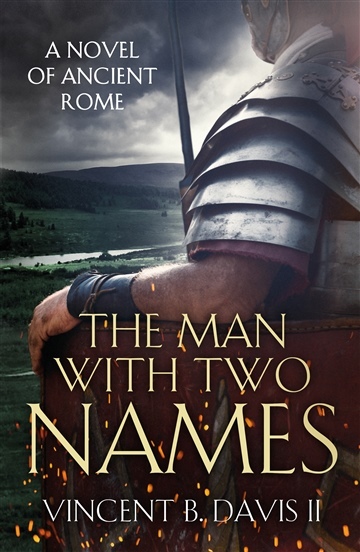 Quintus Sertorius has spent the first 20 years of his life training horses on his family farm, but this must end when his father dies and his village's political connections to Rome are severed. For the sake of his family, Quintus must leave his village for the Eternal City.If he succeeds, his people will be fed. If he fails, his people will starve.He begins his political career under the most influential men in Rome, but soon discovers that those in the Senate are less inclined to help him than he had hoped. His journey takes him from the corrupt and treacherous Forum to the deadly forests of Gaul, making powerful friends and enemies along the way. But it will take more than allies to succeed. He will have to decide what compromises he is willing to make, and what risks he is willing to take, if he is to secure a future for himself and his people. Vincent B. Davis II is an author, entrepreneur, and soldier. He is a graduate of East Tennessee State University, and has served in the United States Army since 2014. Developing a love of history at an early age, Vincent has devoted years to studying both ancient and modern culture.“The Man with Two Names” is his first novel to be published, with many more on the way. You can find him on Facebook or Twitter @vbdavisii. vincentbdavisii.com, or at Vincent@thirteenthpress.com.